Each Table of Contents within your institution's Chalk & Wire site can be duplicated, and this lesson will teach you how make copies. Duplication can be beneficial if you would like to create a very similar Table of Contents, but would not like to disrupt the current Table of Contents' linkages etc. 4. 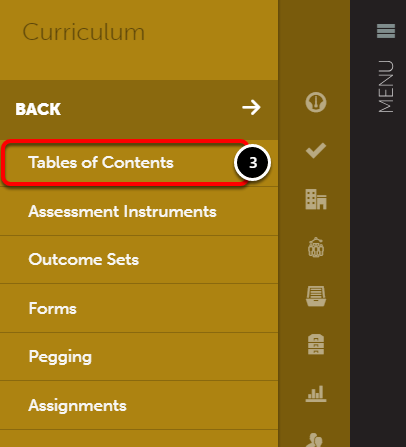 Locate the Table of Contents that you would like to duplicate. 5. Click anywhere on the table of content's row to reveal its options. Select Duplicate. 6. Enter a New Name for the Table of Contents. 7. Select the Department that the Table of Contents will reside within. 8. 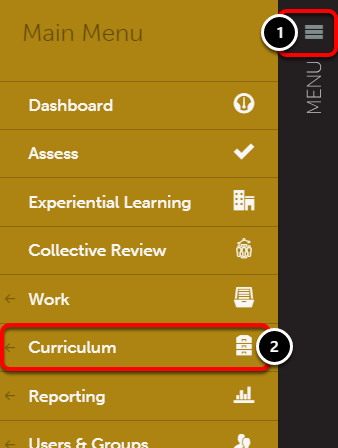 Select whether or not you would like to Copy Assessment Instrument Links from the original Table of Contents.